Nothing says the gaming and tourism industry in Las Vegas in 2019 like the announcement last week and anticipation of the first ground-up resort in downtown in about 40 years. 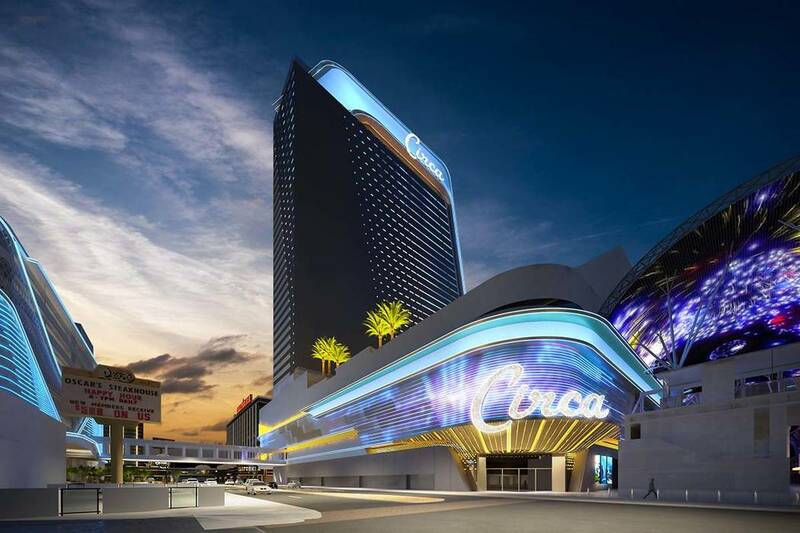 Named the Circa Resort & Casino by developer brother Derek and Greg Stevens, it will fittingly enough have 777 rooms and suites and a two-level casino in what’s dubbed the tallest tower north of the Strip. The opening is planned for December 2020 and ties into the description from gaming analysts and a prominent Las Vegas gaming attorney how 2019 is a “bridge year” building on 2018. There’s high expectations for 2020 not only for the Circa but the opening of the Raiders Stadium just off the Strip, Resorts World, the Las Vegas Convention Center expansion, the MSG Sphere arena, an 18,000-seat venue for concerts and events, and possibly The Drew casino resort that could be pushed back until early 2021. When the final gaming numbers for Las Vegas are calculated for 2018, they should be ahead of 2017, according to Brent Pirosch, director of gaming consulting with CBRE. He predicts that trend will continue in 2019 amid concerns about the future of the U.S. and global economies. By Pirosch’s calculation, through November the 12-month comparison of Southern Nevada’s gaming revenue to the previous 12 months prior to that has been the strongest since 2007. That will make 2018 the best year since the Great Recession and shows that Las Vegas has recovered from the Oct. 1, 2017 mass shooting on the Strip that left 58 dead. Clark County, which makes up 86 percent of the state’s gaming revenue, is up 2.2 percent through November in comparison to the 12 months preceding it, Pirosch said. Michael Parks, a senior vice president with CBRE’s Global Gaming Group, said it’s been “generally positive” so far but worries that signs of a slowdown in the national economy don’t spill over to Las Vegas and negatively impact the city. “I think it’s going to be a year that should hopefully be relatively quiet, but quiet is not that bad a thing at all before we start to see these big openings come online with the stadium, convention center, Resorts World and others that will create a lot of buzz and excitement and increase visitation numbers in Las Vegas at that time,” Parks said. Las Vegas gaming attorney Frank Schreck of Brownstein Hyatt Farber Schreck said 2017 was the year of getting back to normal after the Great Recession and how 2018 was a year to build on that progress. It was a good year for the gaming industry not only in Nevada but throughout the country and that should continue in 2019, he said. There’s something to build upon. Gaming revenue along the Las Vegas Strip is up 1.8 percent through November compared to the previous 12 months before that, Pirosch said. He credits improvement in the convention business and completion of hotel room renovations that brought rooms back online. Room availability was 0.9 percent higher in November than the year previously. That should help annual visitor volume, which through the end of November, is is down 0.4 percent from 2017. If the trend continues, it would mean a second consecutive year of a decline. Pirosch said he’s not concerned. Passenger traffic through McCarran International Airport is up 2.6 percent in 2018, and that’s more important, he said. Pirosch said he doesn’t believe casino resort fees and parking fees have impacted visitation as some are speculating, even though the Wynn and The Cosmopolitan dropped their parking fees. Customers don’t like to feel they’re being “nickeled-and-dimed, but I don’t know if it has had a tremendous impact,” he said. In downtown, the 12-month gaming revenue was up 1.7 percent compared to the previous 12 months, and Pirosch said that was affected by the closure of The Lucky Dragon’s casino portion in early 2018. The same-store growth in downtown was up 5 percent in November, he said. Pirosch remains bullish on downtown, especially with recent happenings. For one, the Lucky Dragon is for sale by its lender and could reopen sometime in 2019. Earlier this month, the Downtown Grand started construction on a 495-room tower that will be completed in 2020. On Thursday, Derek and Greg Stevens, co-owners of D Las Vegas, Golden Gate and Downtown Las Vegas Events Center, announced their new project. 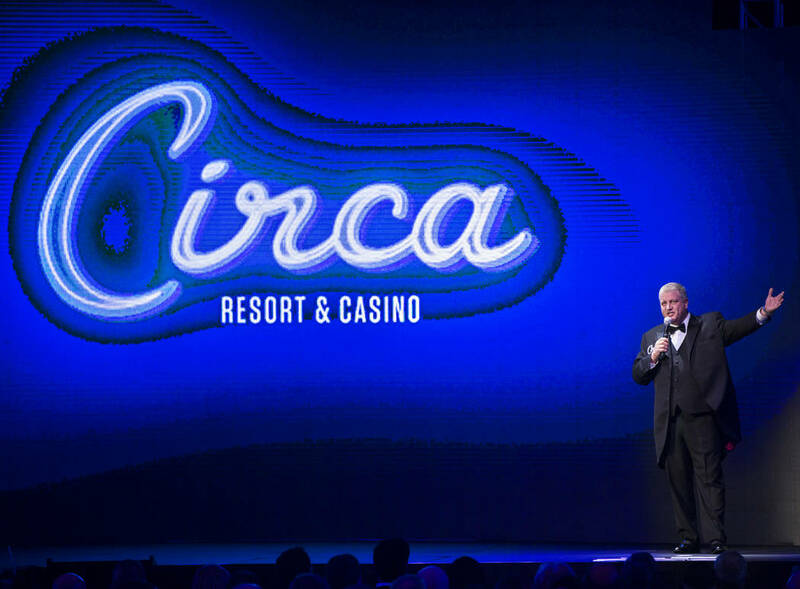 The Stevens said Circa will have a range of eclectic restaurants, the longest outdoor bar on the Fremont Street Experience, and first Las Vegas casino designed with ride-sharing in mind. It will have a multilevel stadium-style sportsbook with the biggest screen in sportsbook history. There will be a multitiered pool amphitheater featuring several pools and massive screen for watch parties. None of the analysts are expecting any other projects to be announced or pursued in 2019 while others are in the works. As for the locals’ gaming market, gaming revenue was down 1.1 percent in November, but it’s been up 3.3 percent over 12 months compared to the previous 12 months, Pirosch said. That’s led by table games up 4.8 percent and slots up 2.8 percent, he said. The one development on the employee front could be bad for some MGM Resorts International workers in Las Vegas. The company recently announced plans to cut back its workforce to generate $300 million in savings by 2021. The exact number of job cuts in Las Vegas isn’t known. Gaming stocks have been hit hard by market unpredictability, but Schreck said they’re poised to do rebound, especially with opportunities for international growth. Japan has legalized casino gambling that opens opportunities for Las Vegas companies. “The large companies have a leg up on getting selected to operate in jurisdictions like Japan, and some of the big companies that are publicly traded will do well,” Schreck said. Gaming revenues are up double digits in Macau, but Schreck said the biggest concern is what’s going to happen with gaming licensing renewals in the next one to two years and what’s going to happen with the slowing Chinese economy. Wynn, MGM and Las Vegas Sands lead the way in Macau, but Asian companies and Caesars Entertainment want to enter the marketplace, Schreck said. The biggest issue of 2018 will continue to have an impact in 2019 — the Supreme Court deciding in May to strike down a federal ban on single-game sports betting. That paved the way for Delaware, New Jersey, Mississippi, West Virginia, Pennsylvania and Rhode Island to legalize sports betting and a Native American tribe in New Mexico launched sports betting as well. More states are expected to legalize sports betting this year. That has sparked “a tremendous amount of activity with major Nevada companies operating in multiple jurisdictions” to provide sports wagering, Schreck said. Gaming companies have already partnered with professional sports leagues in marketing and agreements to provide stats. Schreck said he doesn’t see proposed federal legislation for oversight of sports betting in states nationwide to be successful because of the history of state’s regulating themselves when it comes to gaming, lotteries and horse racing. There was a lot of change in 2018. • Steve Wynn, the founder and CEO of Wynn Resorts resigned amid sexual misconduct allegations. Schreck predicted the Encore Boston Harbor casino will be allowed to operate by Massachusetts in 2019, but likely be required to pay a heavy fine over the Wynn allegations rather than be forced to sell the casino. • Caesars Entertainment CEO Mark Frissora will be stepping down in February. • In 2018, there was plenty of consolidation with Penn National acquiring 12 Pinnacle Entertainment casinos, while Boyd Gaming took control of four others. Eldorado Resorts acquired seven Tropicana Entertainment casinos. “So much consolidation has occurred that I don’t see a lot of consolidation in 2019,” Schreck said. Some individual properties that don’t fit portfolios of gaming companies could be sold, Schreck said. He said, however, there’s no indication that the Rio will be sold in 2019. Schreck called the possibility of the Rio site being home to a Major League Baseball stadium as “pure speculation” and doesn’t see that happening.